ü If You haven’t Used Your Pressure Washer For Extended Period. Pressure Washers that have not been used for months at a time will require the pump to be flushed out prior to starting. 3. Start engine, let the water flow directly out of your pump for approx. 30 seconds. This will flush any build up of mould & contaminants that build up from water laying in your pump manifold that could have gone stagnant. If this is NOT done it is highly likely that you will get a blocked jet or nozzle & wonder why there is no pressure! 1. Check the hose connections to pump & gun. i) Screw Fittings have an o Ring on the spiget of your HP Hose fitting. If there is a leak, it usually will be the O Rings & will need replacing. ii) Quick Connect Couplers have an O Ring inside the female part of the pump & hose fitting. The O Ring can blow out under pressure & perish over time so may need replacing if fitting is leaking. If your pump is leaking water between the main housing & the pump manifold, the piston seal kit has been damaged & needs to be replaced. If your pump is leaking from around the Check Valve Plugs - replace the O Ring Seals to the plugs. 3. Heat build up in the pump. 4. Not changing oil in Dump Housing. 5. Letting machine run on without trigger being pulled. A pumps life expectancy depends on how you operate your pressure washer, manage heat build up in your pump & change oil in the crank case housing. 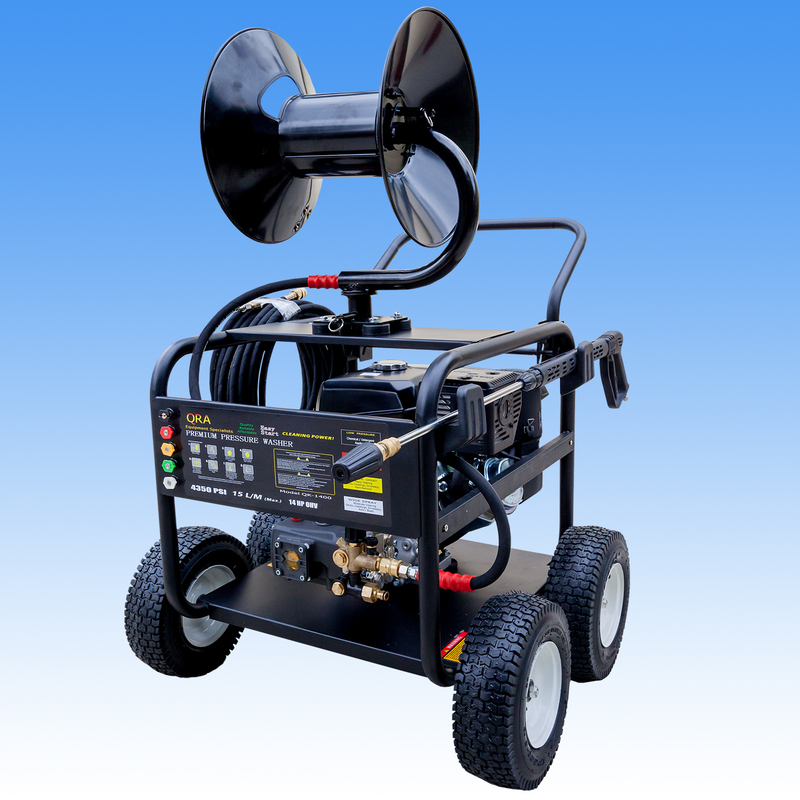 Most Pressure Washers have a Pressure Activated Unloader Valve. When you let go of the trigger, the unloader slides across making the pump go into bypass – stopping further pressure build up into pump, hose & gun. Water is diverted to intake & circulates around in the pump manifold. Without the unloader valve, the pump would over pressurize – damaging the pump, hose & gun and possibly stalling the engine. The unloader valve acts also as a Safety Device. While you have let go of the trigger & the pump is in bypass – heat is building up – quickly. Some pumps are fitted with a Thermal Relief Valve. (Dump Valve). The Dump Valve will open between 60-63oC, allowing hot, heated water to escape & allowing fresh water in. If heated water has or is coming out of the Dump Valve - you are letting the pump get too hot & allowing damaged to take place. · Pull gun trigger a few times until you can get to your machine – this will allow how water out & fresh water in. If they look deformed & the plastic housing looks melted and/or are tight to get out , they will not properly support the stainless steel valves & will not seal properly. It only takes for 1 of these valves to not be working properly to lose pressure quickly. · Check that the O Ring Seals at the base of the Check Valves are in good condition, not broken or melted. If Check Valves appear to be damaged, replace them. With sudden loss of pressure – Check Valves are normally the first thing to suffer damage. 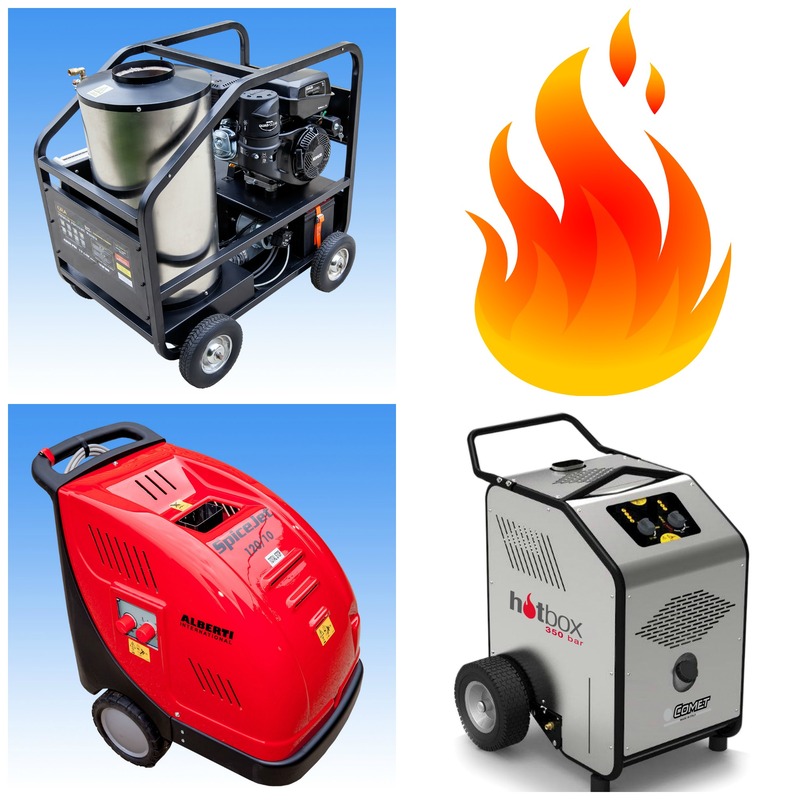 · Letting Pressure Washer run on for too long without pulling gun trigger during operation - allowing water & pump to get too hot. If the pump manifold slides off the piston plungers very easily, they are possibly worn out & will need replacing. Inspect for signs of wear to parts of the seals. Check Oil Seals located at back of piston, positioned into crank housing for signs of leaking. Check Unloader Valve O Ring Seal – installed on nose cone of valve. If pieces of the Seals / O Rings are broken or worn - replace full piston seal kit. Check for signs of corrosion. Located in under base of the Pressure Adjustment Bolt/Handle. Although made of Stainless Steel, it can show signs of pitting & look rusty. The Ball Bearing seals into a stainless steel seat and if it is not in good condition, full working pressure is not achievable. If Ball Bearing looks damaged – replace. Constant heat can soften & damage the Oil Seals positioned behind the piston plugers inset into the Pump Housing. This allows pressurized water to pass thru into the Crank Shaft Housing & mix with the oil. Oil colour goes ‘milky’. This will heat up the Crank Shaft & shatter Piston Conrods through poor lubrication. Pumps with Viewing Windows can melt & let oil out of the pump. Generally – this is TERMINAL. Time for a new pump! 1. Replace Oil regularly (30 hour intervals or 6/12 Monthly depending on usage.) Check Manufacturers Specifications. 2. If oil removed is milky in colour – oil seals are damaged – replace full Piston Seal Kit. If there is no Pressure Adjustment Handle then the pressure is Factory Set & locked off with locking nut. DO NOT ADJUST THIS BOLT or you will over pressurize your pump & blow the seals. It has been Factory Set to give the best, reliable operating pressure. For best long term operating pressure, DO NOT screw down Pressure Adjustment Handle to Maximum! This will put additional pressure on seals & this can overheat pump. Screw Handle Clockwise down to about 75% of the full distance. This should be all you need for heavy cleaning. If you cannot quickly touch your pump – you are letting it get too hot! For increased pressure – try using the correct sized Turbo Head or narrower Spray Nozzle. If not enough engine oil in sump – ENGINE WILL NOT START. · For some engines in warmer weather – leave Choke OFF prior to starting. If Pressure Washer has been on its side or turned over, oil will feed thru to Fuel Bowl & mix with fuel, stopping engine from starting. If rocker has come loose, then valve won’t allow fuel to enter cylinder head and timing will be out. Any backfiring is a sign valve timing is out & needs to be reset. This work should be done by a qualified person, your local mower shop or similar can reset valve timing. (Approx Cost $30-40). Valve timing can work loose on any brand of 4-Stroke Engine, this is not common – but does happen.